Embracing the radiance and vivacity of sun and fire, Sunstone carries the energy of the sun god known as Ra. The energy of sun god brings the potential lives of all the creatures that stay on the earth. Sunstone is very renowned as the stone inculcating leadership, freedom, personal power and expanded consciousness. Sun and fire epitomize light and energy and so do the Sunstone. Sunstone, in true ways, reflects the qualities of warmth, openness, compassion, mental clarity, and strength. Sunstone is stone, which is full of joy and ecstasy. It inspires enjoyment, feeling of abundance, and good nature in the one who wears it. Sunstone is a protective stone, and the sparkling golden-orange hue that it has, has given it the name of Sunstone. Sunstone was an uncommon stone until the large deposits of it were found in South Norway. The other noteworthy locations where Sunstone has been widely found are Siberia, Pennsylvania, Oregon, North Carolina, New York, Virginia, Pleistocene basalt, and Utah. Sunstone keeps the body warm and increases the metabolic rate along with vitality and digestion. It regulates and maintains all the organs of the body, and stimulates the self-healing power of the wearer. Sunstone is believed to be curable for treating sore throats, stomach and mouth ulcers, and stomach tension. The warm and soothing energies of Sunstone also alleviate depression and other disorders. It is also effective in driving out nightmares and providing sound sleep. Since times immemorial, Sunstone has been used as a curative remedy by our ancestors for treating rheumatism, pains, aches, cartilage problems, etc. In present times, Sunstone is also believed to cure fever, cramps, infection, injury, arthritis, and athletic injury. Sunstone is considered to be highly effective in cleaning the chakras and aura of the human being. It keeps away those people who become an obstacle in the energy realm of the person by being extremely possessive. It avoids the drainage of energy from the body. Sunstone is also helpful for those who find it difficult to say “NO”. It removes the wearer dependency on others and encourages the sense of self-empowerment by overcoming procrastination. The people who hold back their feelings because of the reason that they consider themselves unworthy and aloof; Sunstone is an excellent stone for them. It springs a wealthy and optimistic band of energies that revives one's emotions by encouraging positive thoughts and zeal. It can facilitate the transformation of judgment into joy, and anger into happiness. Sunstone closely relates to one’s faith and belief in the supreme as it itself is related to the sun god. It adds grace to the wearer’s attitude and makes him active in whatever he does. It instils the feeling to provide service to the world. Sunstone is believed to carry the yang energy, which it balances and integrates with the yin energy of the moonstone. Both these stones aid activity, harmony, success, strength, and the power of gods and goddesses. The brown and red shades of Sunstone are considered helpful in healing the root chakra where the universal life energy “Kundalini” resides. The root chakra is situated at the bottom of the spinal cord. It is the home of the kinesthetic movements and feelings. When the root chakra is out of balance, it surrounds the person with lethargy, inactivity, unhappiness, and pessimism. It also does not allow the person to concentrate on anything. 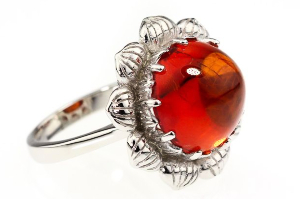 Hence, one can balance the root chakra by wearing Sunstone. The orange and pale golden shades of Sunstone heal the sacral chakra, which is the second chakra below the navel. 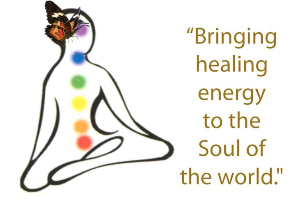 An important chakra, it controls the transmission of energy from the mind to the body and body to the mind. It improves the intuitive and gut feeling of the person, and all the other non-linear communications are possible because of this chakra. It fills the feelings of fear, depression, dependency, frustration, and other such negative things when it is out of balance. Sunstone adds grace to one’s personality. Sunstone honours the Welsh Goddess of motivation and awareness called Cerridwen. A golden Sunstone is the birthstone of the people who are born in the months of mid-summers i.e. 22 July to 21 August. An orange Sunstone is valuable for people who are born in the months of the end of summer i.e. in between 22 August and 22 September. The scarlet Sunstone is valuable for people who are born in the months of autumn i.e. in between 23 September and 21 October. The ancient civilizations used to believe that Sunstone was once part of the sun, which fell on the earth at a full solar eclipse day. In ancient Greece, Sunstone was worshiped as the representative of the sun god, which brings fortune, warmth, and happiness. In earlier times, rheumatism was treated by making the patient sit in between the circle formed by Sunstones. In ancient Indian civilizations, Sunstone was considered as the stone that can drive away all the destructive forces. Sunstone was believed to be a “Phenomenal Gemstone”, in the oriental culture that was worn on Sundays. Phenomenal gemstones were believed to exhibit various signs in the form of stars, lines, etc when they were closely observed in the reflection of light. This was somewhere linked with fortune telling and was believed to bring fortune and wealth to the wearer. The member of Feldspar family, Sunstone is named for its warm shades of golden, red, orange, brown, etc that glisten in the light of the sun. Some of the specimens also have inclusions in it, which are due to the presence of Hematite or Goethite. The inclusions produce an iridescent effect when the stone is viewed from different angles in the light. The Sunstone crystal may be transparent, clear or opaque, and are found in abundance, however, the red specimens of Sunstone are quite rare. The visual effect that appears on the Sunstone is due to the reflections of red copper that also forms inclusions in Sunstone in the form of minute scales. These minute scales can possibly be rhombic, hexagonal, or uneven in shape. These inclusions bestow the stone a manifestation of something that somewhat looks like Aventurine, for this reason sometimes Sunstone is also termed as "Aventurine-Feldspar." The middle part of the Sunstone is, however, darker and it sparkles, on the other hand, the outer edges slowly and slightly become lighter. Sunstone ranges from 6.5 to 7.0 on the Moh’s scale of hardness. There are various metaphysical uses of Sunstone. Other than being used as a healing stone, Sunstone is also used for practicing witchcraft and used by those who follow Wicca beliefs. Sunstone comes in various colors like yellow, red, green, blue, and copper chiller. Gemstones act as one of the most signifcnt tool that give shape to the alluring charisma. I have read in most of the websites that sunstone consists of some inclusion of goethite or hematite and you have also mentioned in the article. My question here is that do the properties of sunstone get affected with these ingredients? No Ben… the properties of Sunstone does not get affected by the inclusion of hematite or goethite only the gleaming effect get produced when we view this charm in light from different angles. Hi Iliana, you may share your question with Astrologers of Jewelexi. For this you only have to post your question on Ask Mittens page and you know this service is totally free. The experts will revert with an apt answer. So, don't worry about anything, whenever you feel like you are quite depressed or want answers to your questions knock the door of Jewelexi.